New York, March 11 (IANS) An Indian-American woman has been found guilty of arson, leading to the death of her husband two years ago, by a court in the US state of Texas. 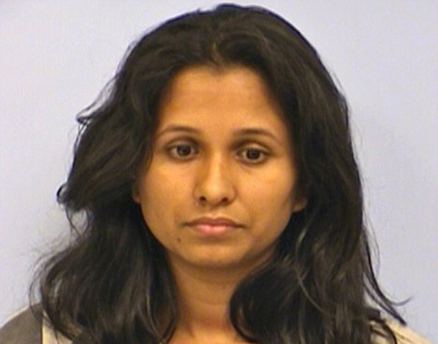 Travis county jurors Monday begun deliberations on a punishment for Shriya Biman Patel, 27, convicted of dousing her husband in gasoline and setting him on fire in 2012, the Austin American-Statesman reported Monday. Shriya Patel lured her husband Bimal Patel, 29, into the bathtub for a massage and doused him with gasoline and then set him on fire. Bimal died at the burn centre of the San Antonio Military Medical Centre, nearly five months after the April 17, 2012, incident. The state asked the jury to recommend a life sentence for the woman. The witnesses have said that Shriya Patel intentionally ignited an explosion that took the life of her husband. Defence lawyers, however, sought probation for the young woman. They said that she had never been convicted of a felony and would be deported to her native country India, should she receive community supervision. Shriya Patel has been incarcerated on a $1-million bail since her arrest nearly two years ago. Earlier, prosecutors said they did not know the reason why Shriya Patel chose to kill her husband, who had been born in India but “grew up basically an American kid” in Amarillo, so horrifically but suggested she likely did not love him as their marriage had been arranged. But defence lawyer Joe James Sawyer, as cited by the American-Statesman, told jurors that at the heart of the case, they would find “an unhappy man who decided to leave his life in the most hideous way possible”. Bimal Patel had been struggling financially and could barely pay his bills, defence lawyers told jurors. They said he told his wife to buy the products at Walmart and helped her load the gasoline into a taxi. Trump's dig at Jindal – "oh, bah bah… he's at zero"